53% of marketers agree that creating blog posts are their top marketing priority. As a business owner, a blog builds trust with your customers and can generate leads passively. Imagine not having to prospect, pick up the phone, or knock on any doors to get customers. That’s possible through blogging. That’s why huge companies like Hubspot or influencers like Neil Patel produce so much content. It makes them an authority and helps create more sales. But, where do you start? How do you write a blog post? I’m going to teach you that and more below. Starting a blog can be done within a few minutes and without spending a dime. 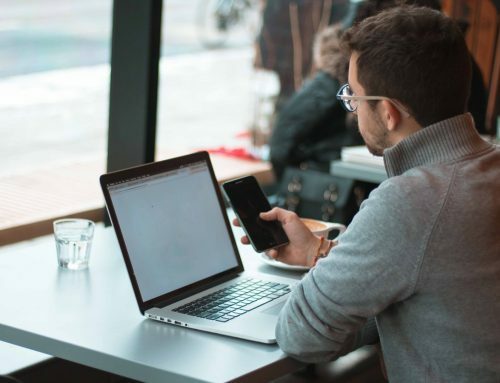 Sure, it’s ideal you eventually invest into paid hosting to get more features and resources, but beginning with a free platform is good to learn the ropes. If you already have a CMS, you should skip ahead to the section on writing good blog posts. For beginners reading this, here’s how to create a blog on the best content management system, WordPress. Did you know that WordPress powers 32% of all sites on the internet? That’s frickin’ nuts! Heck, I use WordPress to power nearly 10 different websites that I run at the moment. It’s fast, secure, and very customizable. The best part? It’s free. 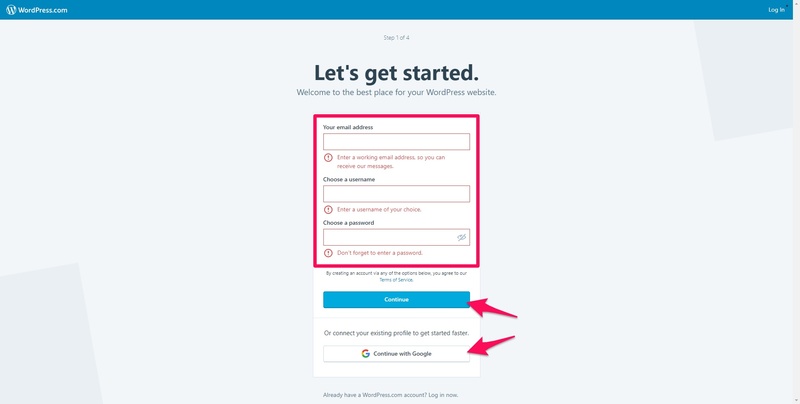 Head over to WordPress.com and click the “Get Started” button. You will then need to create an account by entering an email and password or by connecting a Google account. On the following page, choose a name for your website. It should be catchy, while accurately describing what users will find. Choose a relevant category below this. Then, you will need to choose a domain name. You can connect an already existing one, purchase one from WordPress, or use a free domain. The last step before WordPress creates your blog is to choose an appropriate plan. Congratulations! You’ve officially created a blog. You can add pages and posts from the sidebar, along with plugins to add extra features. 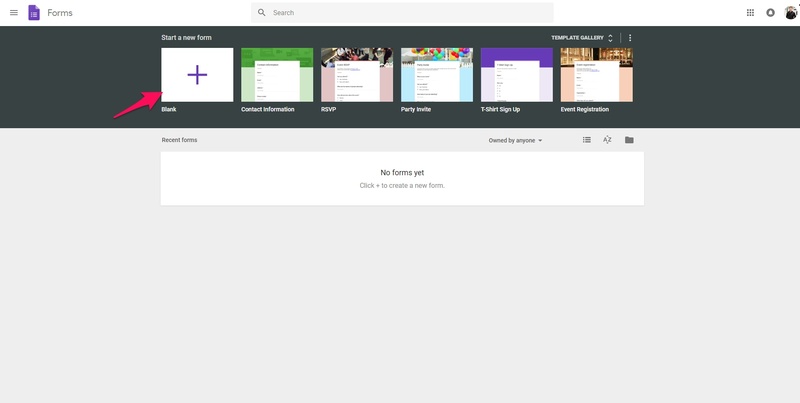 The customize tab will allow you to tweak the design just how you like, as well. Now it’s time to write a blog post that gets clients and customers coming to you organically. Let’s get into it! Blog posts seem so simple. They’re just a few hundred words and an image or two, right? The difference between an average blog post and an epic one is bigger than an elephant. And seeing as 47% of customers will consume a few pieces of content before contacting you, high quality articles create a better impression. I’ve been writing for 7+ years, so I’m going to save you from making the same mistakes I did. Follow these steps and I GUARANTEE that you will begin generating traffic and leads through blogging. A buyers persona is an imaginary version of your perfect client. You can shape your content to attract the high quality users by creating one. 48% of users are also more likely to purchase from a business that personalizes marketing to their exact needs, hence why this is so effective. 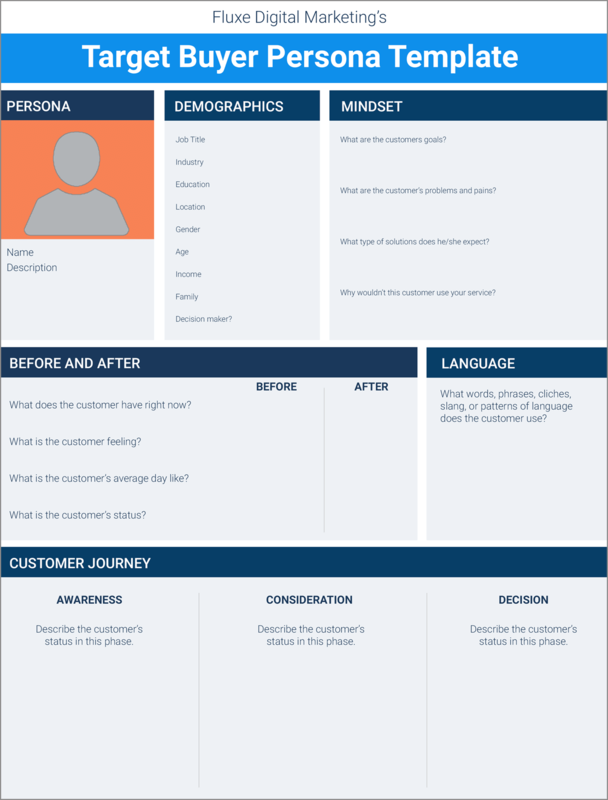 I recommend using a buyer persona template to speed up the process. Here is one from Fluxe Digital Marketing that’s simple to fill out. Give your make-belief customer a name, age, and a quick description. Feel free to include any other information that you find valuable to know about them. Don’t fret too much about demographics. They’re important, but I find that the next information is more important. What will truly make epic content is when you can answer their questions and solve pain their experiencing. What problems are they experiencing to need your product to begin with? What outcome do they want as a result of using your product? 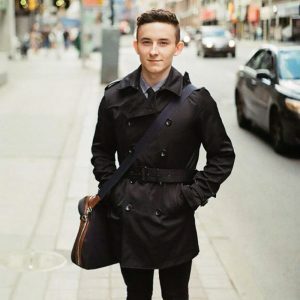 You can also use social media and communities like Reddit to dig deeper. Do a search for your industry or business model, and take notes on questions or patterns you notice. 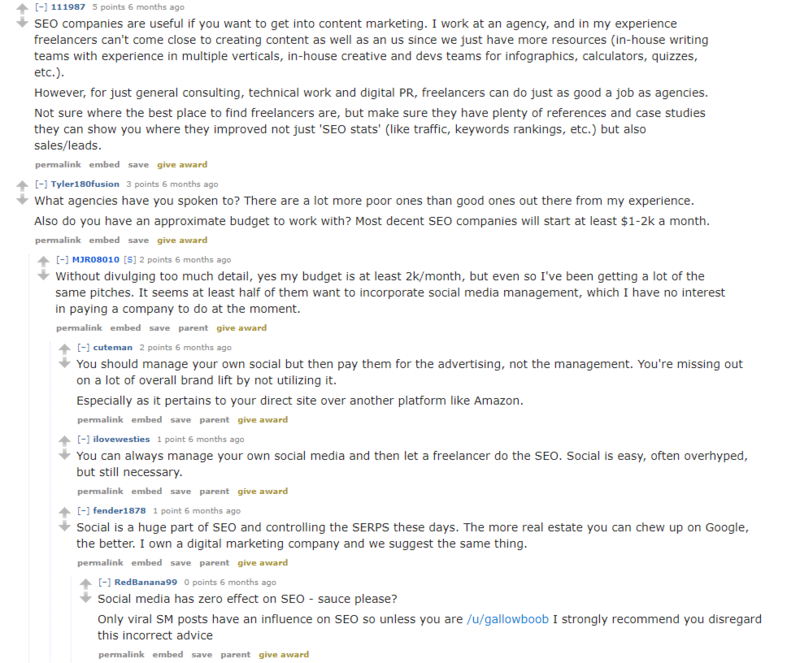 Here’s a Reddit thread discussing why and why you shouldn’t hire an SEO agency, for example. You can pull valuable insight from conversations like these. 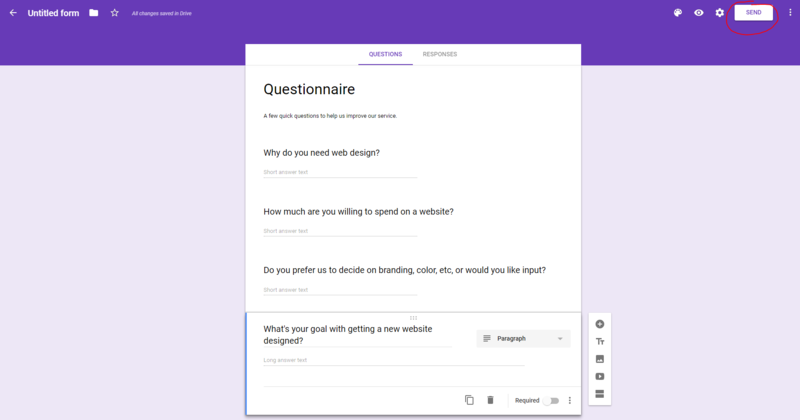 If you want to truly get into the mind of your ideal customer, you can use Google Forms to send out a questionnaire. This can be promoted to your email list or social networks afterwards. Choose the blank form to start from scratch or choose a template. On the following page, you need to add a title, description, and questions for users to answer. Hit the send button once you’re finished, and you can either send it via email, as a link, or embed it. Once you’re confident with your buyers persona, it’s time to cook up some blog post ideas. 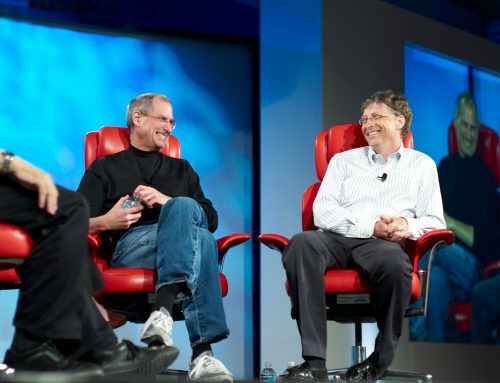 As fun as it would be to write about anything, it’s not an effective business move. If you’re targeting B2B sales reps, you probably shouldn’t be writing about dog training. You wouldn’t attract the right users. That’s why you need to research good topics that align with your buyers persona. I suggest using Hubspot’s free blog idea generator tool. Type in any word related to your business and it will give you a weeks worth of content inspiration. 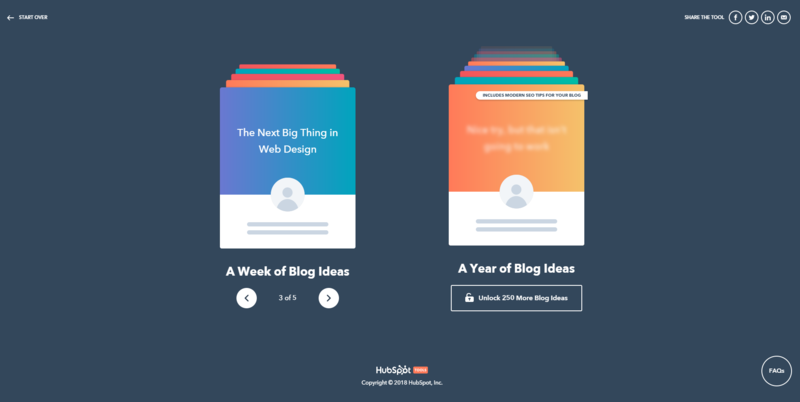 You can download an entire YEARS worth of blog post ideas if you enter some basic information, too. Save these into a spreadsheet or note file for easy access. This brings us to the next step. You have a buyers persona, topics, but now what? These are the bread and butter of your SEO strategy. It shouldn’t be a surprise that 57% of B2B marketers say that SEO generates more leads than any other tactic. Once you get the ball rolling, hundreds to thousands of users will be visiting your website on a daily basis. Your contact form will be blowing up with people interested in your services as a result. 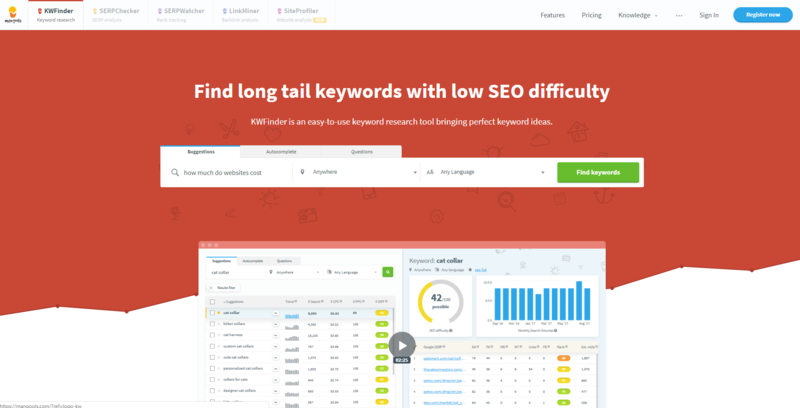 I’ve been using the free keyword research tool KWFinder lately with lots of success. Enter a keyword in the first field, and change the location and language if necessary. Look how many keywords it gives you! The search volume and difficulty score on the far right, “KD”, are the most important stats. It’s ideal that you target a blend of low, medium, and high competition keywords. Low volume keywords are like low hanging fruits. They might not have a ton of people searching for them, but you can easily rank on the first page. Medium and high competition will take longer, but can drive insane traffic once you’re ranking for them. When Google sends spiders to your website, they’ll pick up on all of these little details and will help rank you higher. Alright. You crack your knuckles and you’re ready to write. Follow these steps and you’ll write high quality blog posts quicker and easier without sacrificing value. A boring intro will have users clicking the back button in their browser faster than they arrived. The goal of the first sentence is to make them read the second sentence. The goal of the second sentence is to make them read the third. Do you know who coined that strategy? Joseph Sugarman, one of the best copywriters to ever live. 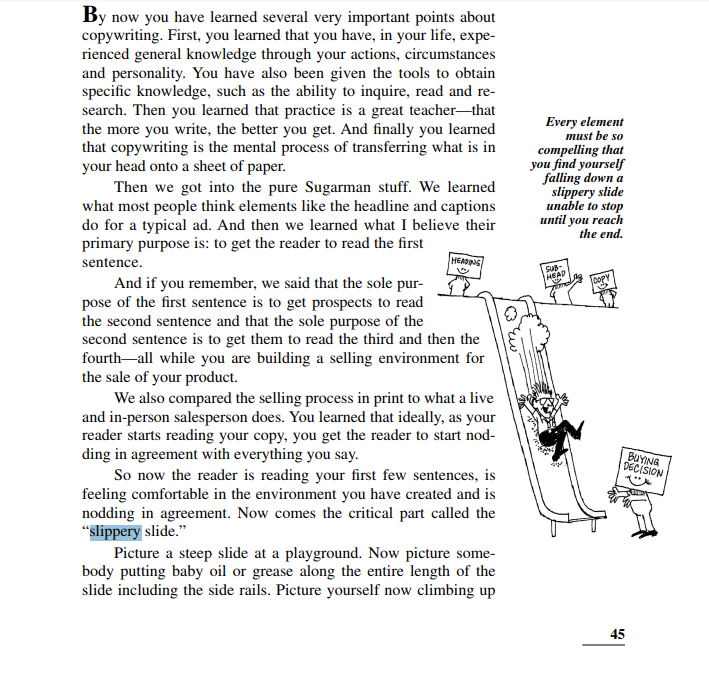 Here’s an excerpt from his book The Adweek Copywriting Handbook on this exact technique. I know it can be daunting to write thousand of words, but that’s what’s needed if you want to rank for competitive keywords and offer the most value to your readers. Studies have found that the average #1 result on Google is 2,450 words. Backlinko also previously analyzed over 1 million results and found that the average first one to be 1,890 words. With this data in mind, it’s safe to say that you should be aiming for around 2,000. If you write 500 words per hour, that’s 4 hours of work. If you write even faster, that will speed it up accordingly. That’s why I’m going to teach you how to write blog posts fast so you can save time. Have you ever just started writing whatever was on your mind? DON’T DO THAT. You want to take the time to plan out your article, so once you begin writing, you can zoom through it without thinking. When I learned to do this, my writing experience changed drastically. It’s a lot less intimidating and easier to do when you break it into small chunks. 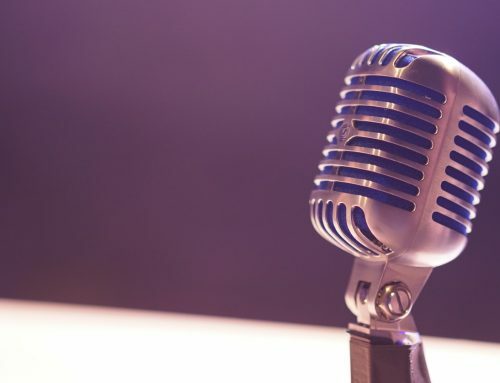 Even the most technical and sophisticated audience will appreciate you using simple vocabulary and a personal tone. Blog posts are somewhat informal. They’re not a newspaper, peer reviewed journal, or essay. They’re blog posts! They’re meant to be fun and laid-back. That’s why I tell stories, use memes, and gifs in my content. I focus on helping entrepreneurs become better, while also providing entertainment. Writing a blog post isn’t rocket science. However, many people approach it the wrong way. Pull it off right though, and you can be generating non-stop leads and customers. The first step is to develop a buyers persona — your ideal client on paper. Write down their demographics, struggles, values, and questions they’re asking. Use social media, Google Analytics, and other tools to gather this info. Then, research topics that aligns with this persona. 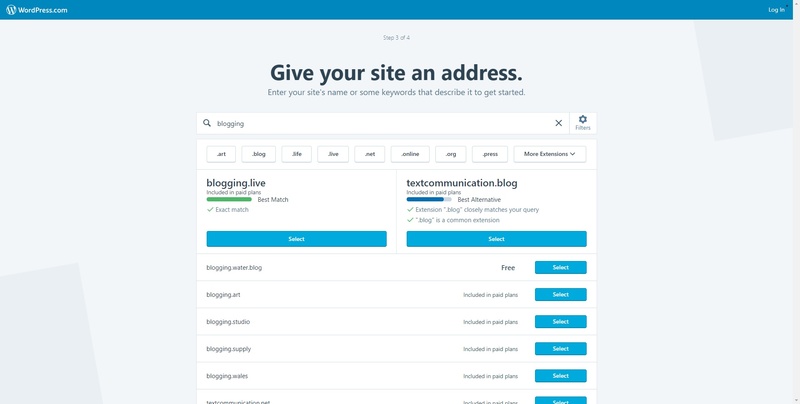 Hubspot’s blog idea generator is awesome, and I’d also suggest BuzzSumo and AnswerThePublic. 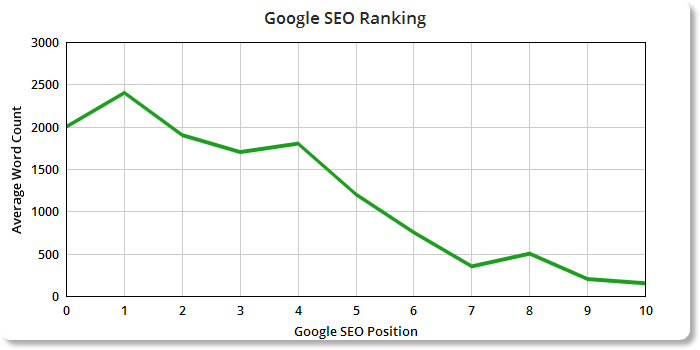 Similarly, you need to research keywords to help drive organic traffic over time. 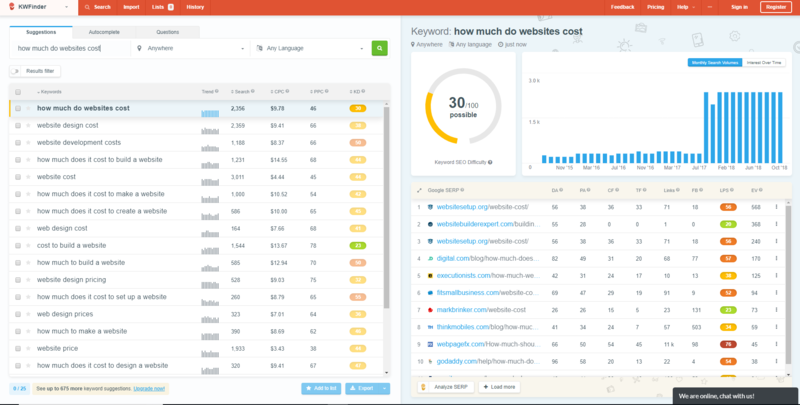 Google’s Keyword Planner, SEMRush, and KWFinder will do just the trick. With these things in hand, it’s time to write! Focus on hitting a high word count to boost SEO and improve the user experience. Make it practical, actionable, and lead in with an interesting introduction. A casual tone works well for every industry, as well. If you do these things on a regular basis, you will absolutely begin receiving organic traffic to your website that can convert to paying customers. Enough reading, though. Take what you learned today and get your hands dirty!